Product prices and availability are accurate as of 2019-04-18 23:34:27 BST and are subject to change. Any price and availability information displayed on http://www.amazon.co.uk/ at the time of purchase will apply to the purchase of this product. 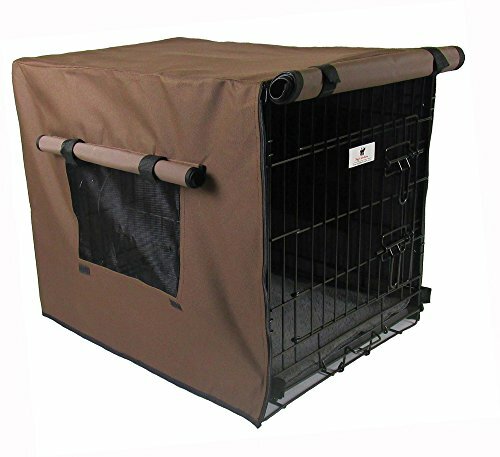 Our waterproof range of Dog crate covers give added protection against hazardous weather conditions. Colour: Chocolate Brown Sizes: Suitable for cages sized Small 24"L x 18"W x 21"H. Medium 30"L x 21"w x 24"H. Intermediate 36"L x 24"W x 26"H. Extra Large 42"L x 28"W x 31"H. Giant 48"L x 30"W x 32"H.